I am always happy when I cook balsamic chicken because it sends me back to the time when one of my very good friends (one of the longest I’ve had) taught me to cook chicken in her dorm room. Balsamic chicken was a favorite recipe of hers and she would invite everyone over to feast on it. 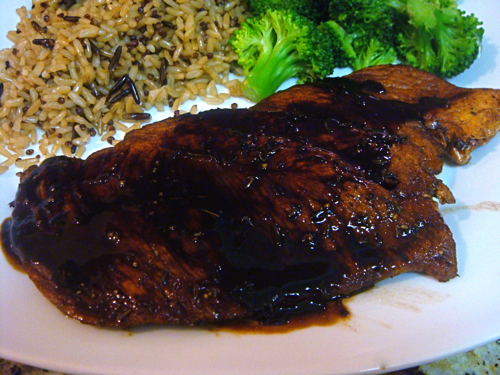 I’ve enhanced this recipe with a balsamic glaze to bring it out of the dorm-age, but it’s largely the same and still incredibly delicious. First, in a hot pan with olive oil, sear your chicken breasts on both sides just until they brown. You might have to do this in batches to prevent your pan from cooling too much. 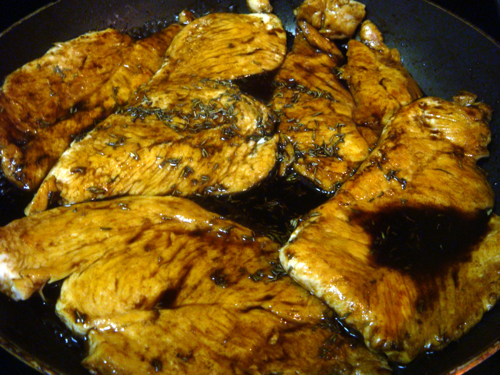 Once the chicken browns, put the breasts back in the pan and pour in some balsamic vinegar. I used tangerine balsamic for this batch, but any flavor or type will do. You want enough so that your chicken can simmer in it. Season the vinegar with thyme and black pepper, then simmer the chicken for four minutes per side. If your chicken is thicker, it might need longer. 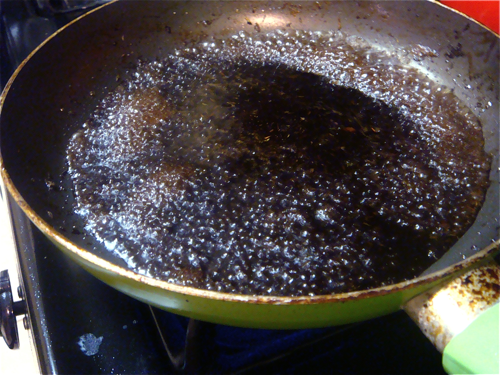 Remove the chicken from the pan and raise the heat so the balsamic vinegar bubbles. 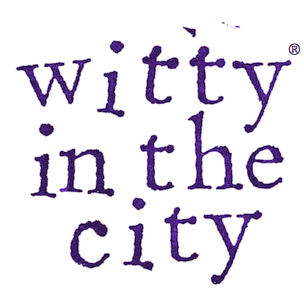 Let it bubble away for a minute or two until it reduces and becomes thick and syrupy. Once the vinegar reduces, it should have a wonderfully sweet and tangy flavor. Then, either toss your chicken breasts in the glaze or spoon the glaze over the chicken. It’s delicious! This chicken is a really fast, easy, and delicious dinner. 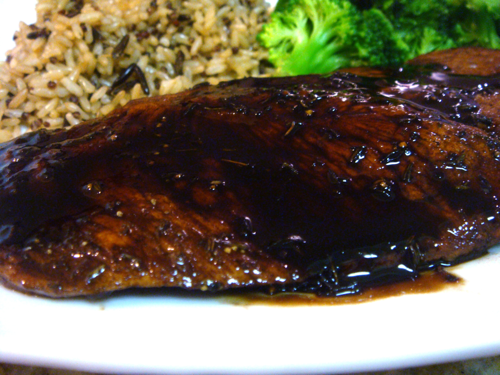 The glaze would also work well on things like salmon, salad, pizza, rice, or really anything that tastes good with balsamic vinegar. I’m not one to go nuts for chicken, but I’ll lick up this glaze like it’s candy! 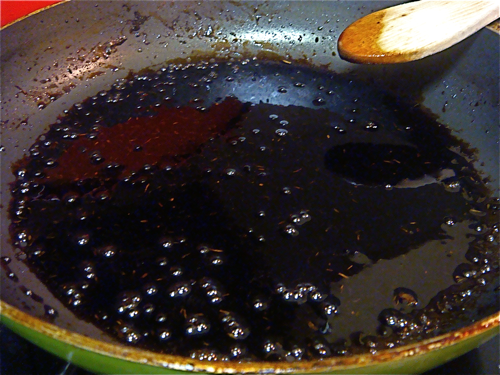 I love using balsamic vinegar when I make chicken in a pan. I tried it one night when I REALLY was craving chicken marsala and I was out of marsala wine. It was great! I always keep balsamic vinegar in my pantry now.